Pollen grains are produced by the plants and require transference from one plant to another in order to fertilize. 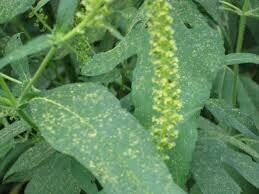 Most pollen that causes allergy originates from plants with no showy flowers. These plants produce dry, light and small pollen grains which are carried by the wind. 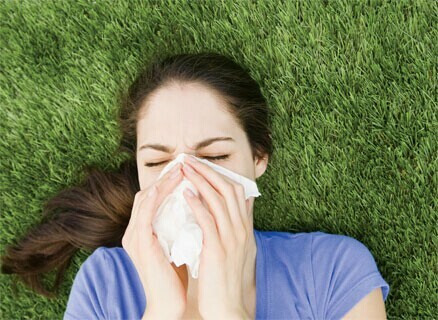 Pollen allergy is often referred by health experts as ‘seasonal allergic rhinitis’, suggesting pollen allergy symptoms like runny nose happen during specific seasons; however, some people experience pollen allergy symptoms throughout the year. During the flowering of a plant, the pollen becomes a part of the air. Below are some common sources of pollen. These pollen allergy symptoms may mimic common cold sometimes with hoarseness and sore throat. 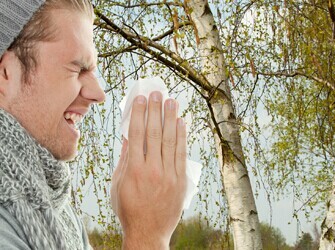 The pollen allergy is more severe in seasons when above mentioned plants are blooming. Please note that pollen allergy symptoms can also trigger or worsen an asthma attack. If you have pollen allergy, you must initiate prophylactic medications like eye drops, nasal antihistamines/steroids 2 weeks prior to the onset of allergy season. Nasal spray like azelastine helps relieve early pollen allergy symptoms like runny nose, sneezing and nasal congestion. Antihistamines (non-sedative) like loratadine, cetirizine or fexofenadine may be used if you feel itchy. Natural supplements such as nettles or plant pigment, called quercetin alleviates swelling, hives, watery eyes and runny nose. Quercetin acts as an anti-inflammatory and antihistaminic agent that prevents chemical and histamine release from immune cells causing allergic reactions. Vitamin C (500-1000mg 3 times a day) also helps in the alleviation of the symptoms. Nasal stiffness and congestion can be reduced by capsaicin in chili and cayenne pepper. 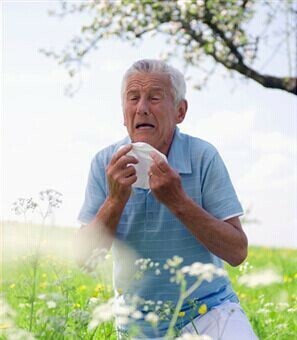 During pollen season, daily rinse of nasal passage is worth a try. Make sure to keep your nostrils clear and clean. Inflammation within the sinuses can also be minimized by nasal irrigation with saline. Adopting a healthy lifestyle with a nutrient rich diet and adequate exercise may also help a great deal in preventing pollen allergy symptoms by boosting immunity. Immune system can be bolstered by exercise that helps a great deal when you are fighting allergies. Tolerance to a trigger may be escalated by allergy shots or immunotherapy. However the body will continue producing antibodies against the allergens. But if the body is stable and healthy you can put up with more of the triggers before reacting. Underlying stress related conditions can exacerbate the allergic reactions, so it’s important to live a stress-free lifestyle. Immune system is affected by cortisol levels, so the more we assist in reducing stress (by proper sleep, meditation and yoga), the lesser chances we have of getting allergic. Pollen may be your unwanted guest if you don’t take off your clothes after coming home or have your shoes on in the house. Likewise, close the doors and windows if you have seasonal pollen allergy symptoms. Many people are allergic to mold and dust mites. Therefore, keep pets off the bed as pet dander and dust mites form a more lethal allergic weapon. Vacuum frequently set the air conditioner to re-circulate mode, and check for moisture when having a mold allergy. During pollen season, do not use attic fans or windows, instead use air-conditioner. Keep the car windows rolled up while driving. Dry bedding and clothing in the dryer. Avoid hanging them outside. Don’t permit the pets to enter your bedroom if they have spent a lot of time outside. Make sure to check the pollen concentration before planning outdoor events. Avoid outdoor trips in early morning. Use sunglasses for protecting eyes against pollens. Avoid raking leaves in pollen season. Wear a mask if yard work is necessary. Take your medications or pick sites with low pollen when planning a vacation. When coming back home, change the clothes. Wash your hair or ideally shower.